theAd>> Having trouble finding Concrete & Plastic Lawn Geese? 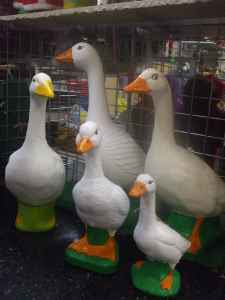 We carry FULL-LINE OF Concrete Geese and outfits for all sizes. 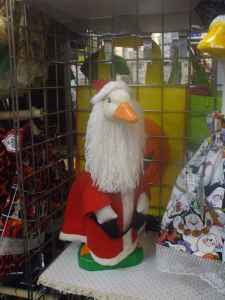 Extra-Small (9")- $12.00, Small (14")- $15.00, Medium (19")- $25.00, Large (24")- $40.00, Extra Large (29") - $50.00 and even the Large Plastic Goose - $25.00. 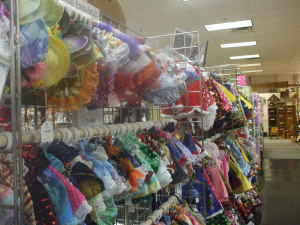 We are "Gifts & More Crafts Galore"
I can NEVER find clothes to fit my "husky" plastic goose. And my petite concrete goose...well forget about it. Flossy, that's her name, needed a raincoat last spring and every single one I bought her was just too long. I know you can have them shortened but they just don't seem to hang right afterward. You know what I mean.